Information on this page is from the 2018-2019 winter season. It will be updated in August for the 2019-2020 winter season. 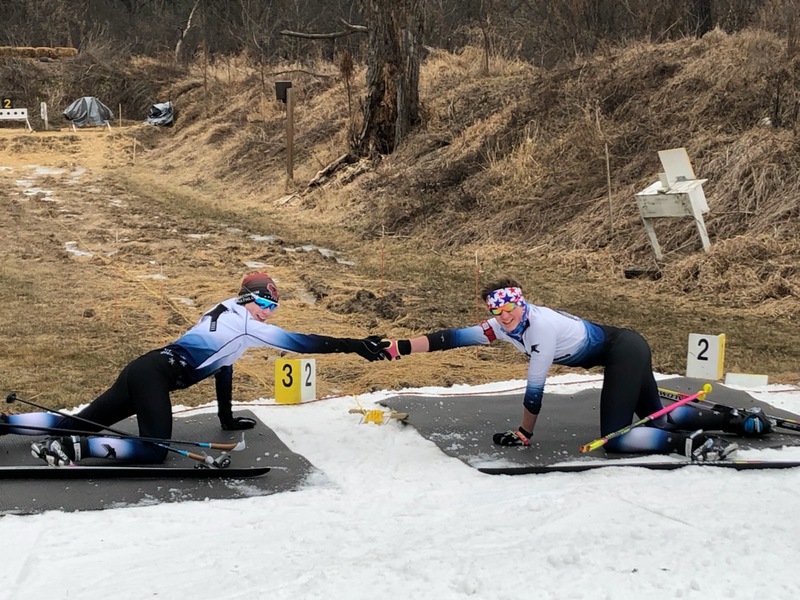 The biathlon program at Blackhawk Ski Club has grown from a small group of participants to the leader in expanding biathlon opportunities to youth and adults in Wisconsin and surrounding States. Recent events have included races, shooting and safety clinics, and helping biathlon programs get started in Green Bay and Hayward. The goal of the Blackhawk biathlon program is to provide club members with the opportunity to participate in winter biathlon, which combines cross country skiing and target shooting. Participants have included novices with no prior experience and experienced biathletes intent on making national and Olympic teams. The biathlon venue at Blackhawk provides a safe reliable place to practice and race, and is one of the few sites in the U.S.A. that also has manmade snow and lights. In Fall 2017, club members completed a new shelter at the biathlon venue for training, races and storing equipment. A big thanks to all who donated funds and helped with planning and construction. The Blackhawk biathlon area is open to club members when participating in practices, involved in introduction to biathlon sessions or races. The 50-meter biathlon area includes lighting for evening practices and is connected to the manmade snow network of trails. 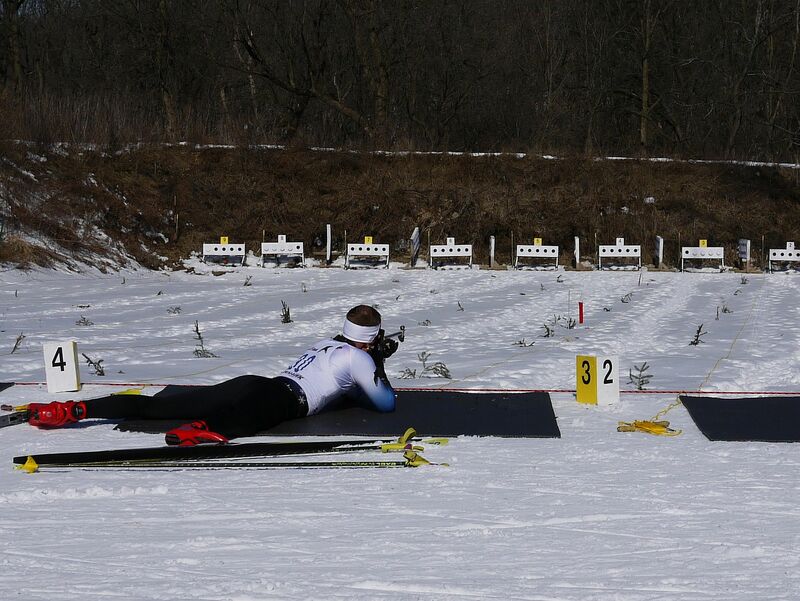 Club members interested in use of the 50-meter shooting area need prior biathlon safety certification or be involved in an organized club biathlon activity. The use of the Blackhawk biathlon area and equipment is restricted to biathlon practice and races in the presence of an authorized Blackhawk Ski Club Range Marshal. No free shooting or non-biathlon shooting is allowed at Blackhawk Ski Club. If you are interested in helping with the biathlon activities, construction and maintenance of the shooting area and trails, or you want to try biathlon, please send us an email. All adult biathlon participants must be members of Blackhawk Ski Club and need to have completed a biathlon safety training program (the Red Book course) prior to use of the biathlon facilities and equipment. The one and ONLY exception is involvement in an introduction to biathlon event (“novice race”) at Blackhawk. An annual or daily membership in US Biathlon is required to participate in races and practices. There is the expectation that adults participating in the biathlon program will make a donation to the program. For the 2018/2019 ski season, a fundraising effort is underway for trail safety improvements in front of the range and better equipment for the youth program. Blackhawk is a 501(c)3 organization and all donations are tax deductible. 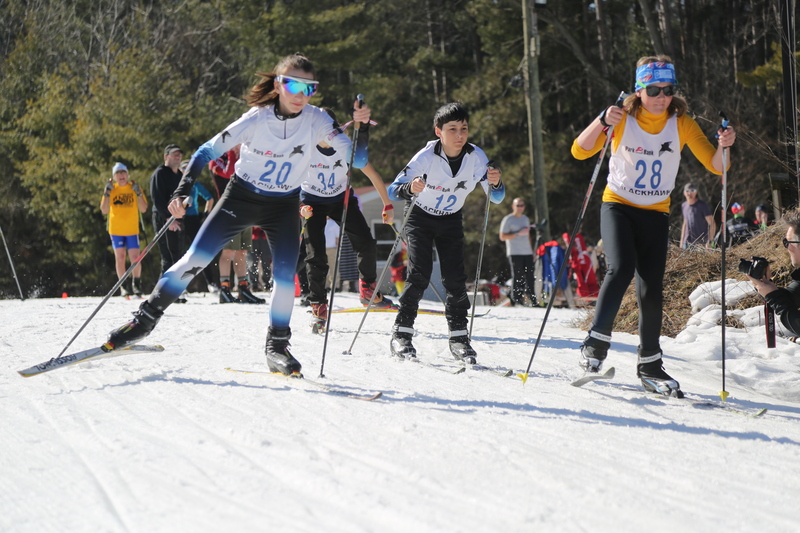 The opportunity to learn about and participate in biathlon is available to Blackhawk members who are also enrolled in a Middle School or High School cross-country ski racing program at Blackhawk or another club/school. For more information about the Blackhawk Nordic Ski Team, click here. Youth must demonstrate the mental and physical maturity to handle a biathlon rifle. The program is led by Mark Torresani who is a certified USBA Coach. The cost of the youth program is $100 and lasts from mid-September through March. The fee includes coaching, ammunition and other range equipment. Participation in races may require additional fees paidf directly by particpant. A limited number of club rifles are available for use by Youth Biathlon Program participants during practice and races, for an additional fee of $50 for the season. Youth and Adult practice with coaching is held on Tuesday evenings from 5:30 to 7:00 PM with time trials occurring after practice as interest and weather conditions allow. Additional adult biathlon practices through the fall and winter are generally held on Wednesday or Thursday evening, as well as most Sunday afternoons as racing and range marshal schedules allow. In general, adult participants are expected to have their own skis and rifle. Again, you must be “red book” safety certified and a Blackhawk Ski Club member to participate in any adult practice at Blackhawk. A Biathlon Safety certification class often is held at McMiller Range through WI biathlon in early/mid December - please see their web site for announcement and details. Participants who pass this course this will receive a United States Biathlon Association (USBA) Red Book and be allowed to enter open USBA races. Without this certification biathlon participants need to participate as a novice where the rifle is left at the shooting station. The cost of the clinic is usually around $30 for youth and $50 for adults. Private lesson including USBA Red Book Safety Certification and rifle fitting $450. Must have your own Biathlon specific rifle. Must have proof of USBA membership. Availability for private instruction is very limited. Contact Mark Torresani via email. For more information about the Blackhawk biathlon programs, please contact us via email. There is no news or announcements at this time.